Increase property values through long-term beautification projects. Develop a corridor branding theme that includes upgraded street and way finding signage, sidewalks, and lighting. Leverage this report to obtain future funding for the enhancement of the entire community. Maintain an appropriate mix and balance of residential, commercial and recreational uses, ensuring the long-term economic vitality and quality of life within the CID.•Create a well-planned, aesthetic environment that enhancesthe quality of life and promotes safe vehicular and pedestrian movement and circulation. Increase the connectivity and coordination between neighboring activity centers at Exit 90 at Turner Lake Road, HWY 81 and Emory Street, Alcovy as well as Elm Street, and HWY 142 and HWY 278. Promote the community’s vision, physical improvements and economic opportunities, including ideas for an effectively targeted promotional and/or marketing campaign. The brick-clad Historic Courthouse with rich Victorian detailing dominates the Square, which is surrounded by the notable BB & T Bank (with its grand classical architecture and equally- historic but smaller one- and two-story retail establishments), seeming to open a curtain into the early 19th Century. It is this architecturally rich character that draws the movie industry to use this town as the backdrop for many movies and films. HWY 278 is an arterial road that connects Atlanta to Covington. As a gateway to the downtown, it currently falls short. The existing architectural character is rooted in the mid-20th century and newer buildings. There are a series of one- and two-story retail spaces, and several larger, notable medical facilities. The existing highway is between 3 to 4 lanes in both directions, with a shared center left turn lane, or “suicide lane.” The existing large corner radii and slip turn add to the increased speed and lack of pedestrian safety. Through our professional PlaceMaking experience, we have found that economic revitalization is advanced when we transform a corridor into a destination and provide a true sense of place. It is our opinion that by analyzing and building from the most historical and best qualities of a place, we create authenticity. Using the predominant building materials, such as brick and limestone, in a manner with which they might have been constructed during the 19th Century, we can help extend the best of the Historic Covington architectural character. 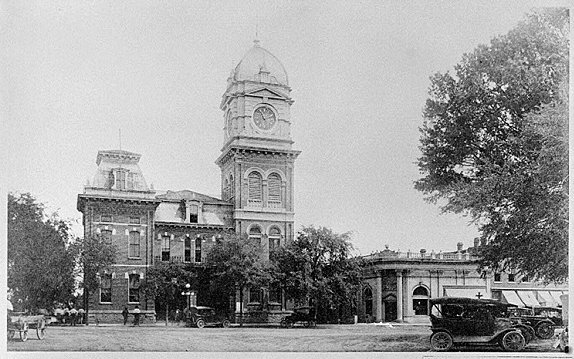 Founded by European Americans and incorporated in 1822 as the newly-founded county seat of Newton County, Covington is located 35 miles southeast of Atlanta, Georgia. The City was named after Leonard Covington, who was a US Army Brigadier General, war hero of 1812 and US Congressman. In 1845, with the advent of the railroad, Covington began to grow. Although looted and destroyed in 1864 by General Sherman’s troops during their March to the Sea, many antebellum homes and important buildings were spared. Covington Historic District, North Covington District, Starrsville and the Newton County Courthouse are all listed on the National Register of Historic Places. These uniquely aesthetic buildings, and the entire community, have made Covington unofficially the “Hollywood of the South.” As a mecca for the film industry, the town can easily be transformed into a Civil War village, a 1950’s town or a modern-day city. Currently, Covington has a population of slightly over 13,000 people, and per the 2000 Census, the racial makeup of the city was 51.55% white, 45.5% African American, 2.87% Hispanic, .18% Native American, .55% Asian, .04% Paci ca Islander, .94% from other races and 1.19% from two or more races. There were 4,261 households, of which 31.4% had children under the age of 18. The median income for a household was $31,997 and about 14.8% of families and 19.6% of the population were living below the poverty level, including 33.7% of those under age 18 and 12.8% of those over 65.